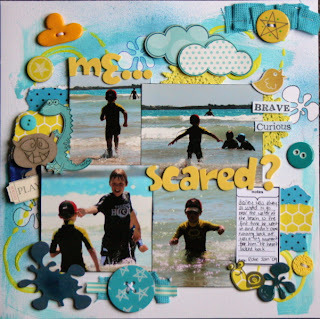 This week Melissa Hortin has uploaded a real cutie of a layout!! I Love the soft girly colours on this layout and the photos really caught my eye. What a gorgeous little munchkin! This is Mel's entry for the sketch challenge. Head over and see what everyone else has uploaded for this challenge. There are some great prizes up for grabs this month. 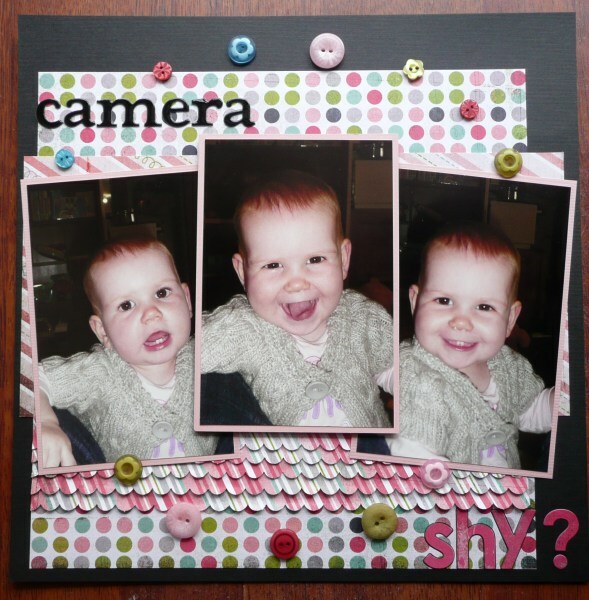 Just upload a layout and you're in the running for a randomly drawn prize, that easy!! 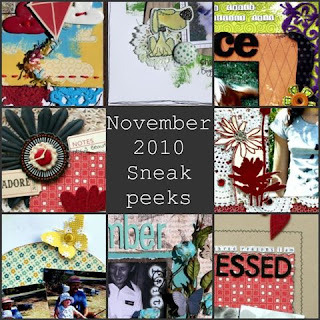 who our new DT is from these sneak peeks of their November layouts?? It's been a while but I'm going to start the Layout of the Week again. This week Karen Grose has uploaded a beauty!! Love everything about this layout...all the little bits and bobs she's added really catch my attention and every time I've looked at it I've seen something different. This is Karen's entry for the Ebony and Ivory challenge. Head over and see what everyone else has uploaded for this challenge.